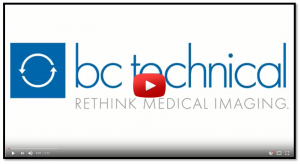 BC TECHNICAL OFFERS MONTHLY WEBINARS WORTH 1 CEU! If you need CEU’s, or are simply interested in exploring new imaging topics, BC Technical is your partner for success. We offer FREE monthly webinars that can be accessed at your convenience. Each course is worth 1 CEU and has been developed by our Clinical Support Specialists.